Locked out? Best priced Locksmiths of Leeds. No Call Out Fee or VAT Whatever time of night or day call for a fast response and professional service. We know when a customer needs unlocking in a hurry they’re looking for trusted and experienced locksmith Leeds technician who can be relied upon to work to the highest professional standards 24/7. UPVC door and windows repaired. Any lock changes and lock repairs. Best price guaranteed. Discounts for nurses, students, armed forces and OAP’s. Locksmith Leeds: No lock we can’t open night or day. 24/7 locksmith Leeds are highly rated and trusted . We have been providing quality work for our valued customers for many years and built up the skills, knowledge and customer service to rank as one of the best locksmith Leeds businesses in the area. Trust Locksmith of Leeds. Locksmith Leeds are here to provide fast response locksmith services for all types of lock out and other locksmith situation you might have on your hands whether emergency or non emergency. Locksmith Leeds are around 24/7 365 days a year and that’s not just our dedicated locksmiths, that’s all the way through our business from the advisors who answer your phone to the finance department who can sort any issues you have with receipts or invoices. The point is you can call us anytime and we’ll get someone out to you in absolutely no time at all or alternatively we can get someone out to you at a later time to suit you. Locksmith Leeds also doesn’t charge call out charges AND we don’t charge VAT on any of our services or our parts so you know you’re getting the most out of your money when you come to locksmith Leeds. Unfortunately there are a few “locksmith” businesses that charge a fortune and aren’t actual locksmiths just normal people with a drill who will come out and drill through your lock without trying to get into it through traditional locksmith methods. 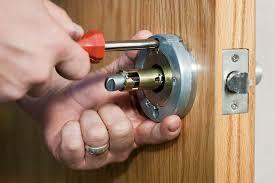 Locksmith Leeds can be on the scene of a lock out fast, and solve the issue without necessarily replacing your locks. Call now and speak to a professional today! Locksmith Leeds are here to provide a fast response locksmith service to the Leeds and surrounding areas. 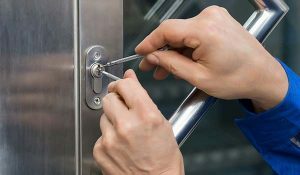 Locksmith Leeds are your number one for quick and reliable locksmith service across the whole of the locksmith service. Locksmith Leeds are here for if and when you need us. Locksmith Leeds should be the first people you call when you need a locksmith and need a locksmith fast. We provide fast response locksmith services for if and when you need them most that won’t cost you an arm and a leg. Locksmith Leeds are your number one. Locksmith Leeds don’t charge call out fees and we don’t charge VAT either that means you’ll only ever pay for labour and the parts. Locksmith Leeds call the professionals today. Call now and speak to a trained professional advisor today! Are you locked out in the Leeds or surrounding areas? Do you need some assistance either right away or at a later time to suit you? Look no further than locksmith Leeds! Our local locksmith Leeds team have over 20 years experience and all the tools and skills to make sure you’re lock troubles become a thing of the past, today! Call locksmith Leeds today and you won’t pay a single penny in call out fees AND we won’t charge you VAT either, just one of the many ways we try to keep our already competitive prices as low as they can possibly be for our customers. Locksmith Leeds have all the tools and all the experience to deal with any type of locksmith task and can be with you either right away or at a time to suit you. It’s really never been easier to get a locksmith out in the Leeds or surrounding areas. What are you waiting for give us a ring now! Locksmith Leeds are your local fast response locksmith for the Leeds and surrounding areas with no call out charge and no VAT we’re in and around the Leeds area with the right tools and experience to fix any locksmith problem you might have. Locksmith Leeds are your number one for comprehensive locksmith services all across the Leeds area with fast response times to all emergency and non emergency locksmith situations. Whether you’re locked out and need assistance right away or you’d prefer us to visit at a later time to suit you we can do either. Locksmith Leeds deal with a bunch of different services far and wide all you need to do is call us and speak to one of our locksmith Leeds office advisors about all of our great services and the not so great problems we can solve for you, today! Call now and speak to the professionals! 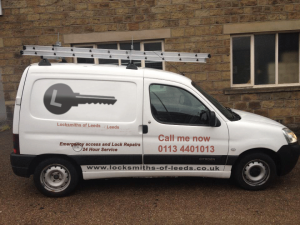 Locksmith Leeds are your local professional lock specialists for the Leeds and surrounding areas. Locksmith Leeds is dedicated to providing a fast response 24/7 365 day a year service if and when you need us. We’re always here for you no matter the time or date we’ll come through with great services and competitive prices. Because we’re 24/7 locksmiths we can come out to you whenever, whether that’s right away or at a later time to suit you we’ll be on hand to sort any lock issues you may be having and make them a thing of the past, today! As well as offering truly competitive prices on all services locksmith Leeds don’t charge call out charges and we don’t charge you VAT either. Just one of the many ways we keep the costs down for our customers. Some locksmiths might be looking to take advantage of the situation you’re in but locksmith Leeds will only ever charge you for the work and not for a call out no matter what the time of day. 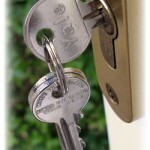 Call a Locksmith Leeds if I have lost my keys? What your first action should be if you find yourself locked out from your residence can differ depending on your living arrangement. 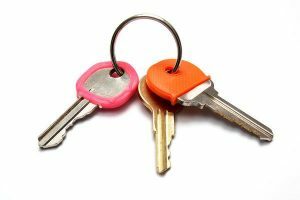 As someone who is renting a home your first point of call if you have lost your keys should be to your landlord. Alternatively to any other contact which is agreed upon in your contract. We understand that perhaps you will not have access to the documents with contact details on. And suggest that you save the relevant contacts in your phone in case of emergency. Depending on the urgency of regaining access you may or may not have time to take a second look for them. If there is no other means of entry, get in touch with an emergency access service. Our locksmiths are quick and ready to assist at all hours, feel free to call at any time. What to do if you’ve lost your keys and have time on your side. A second, and perhaps even a third look for your keys is a good idea. Walk back the way you came until you reach the spot of remembering your keys last. Following your own footsteps often works to jog the memory. 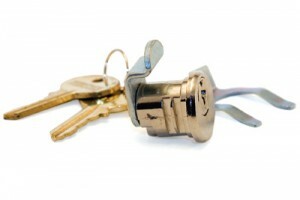 If you have lost your keys any security locksmith would recommend a lock change. Even if you have spares. Although theft of keys to access homes is uncommon, it’s not unheard of. Keep yourself safe by booking in for a quick lock change at a time suiting to you. There are many ways to prevent becoming completely stranded without a key. Having to call a locksmith out for re-gained access can be made a last resort. 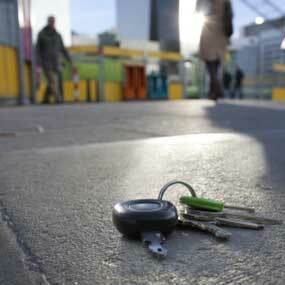 Please read more about how you can keep yourself from losing your keys. Locksmith Leeds are your source for local locksmith services in the Leeds and surrounding area. 24/7 locksmith Leeds are waiting for if and when our services are needed. Our locksmith team are ready at all hours to spring into life and solve any locksmith troubles you might be having. Locksmith Leeds offer loads of great services from new lock installations to entry gaining, we even deal with simple lock changes. What’s m,ore all of these services are competitively priced and won’t cost you an arm and a leg. Call now and you won’t pay a single penny in VAT and we won’t charge you a call out fee either. Just one of the many ways we make locksmith Leeds the best and easiest locksmith to use in the Leeds and surrounding area. Keep our number for a time to suit you and then come at us with any question you might have about locks whether big or small we’ll help you out. Here at locksmith Leeds we offer fast response locksmith relief for the whole of the Leeds and surrounding areas for if and when you need it. With over 20 years experience and all the tools and skills to perform a plethora of assorted locksmith tasks including lock changes, new lock installations and emergency lock outs. With all of these services and competitive rates already it’s worth baring in mind that locksmith Leeds also don’t charge call out fees and we also don’t charge VAT. Call us now and speak to one of our trained office advisors today about all of the fantastic services we have to offer and the prices we charge for those services. We don’t employ lazy locksmiths, we also don’t employ salespeople to answer our phones, we’re your number one port of call for all locksmith needing services in the Leeds and surrounding areas, whether you’re at work or in your home we offer fast response emergency and non emergency relief at a competitive rate and no call out charge and no VAT payable all to your door either right away or at a time to suit you. Call us now and speak to one of our friendly trained office staff who will guide you to the best solution to your problem and inform you of the many different services we have to offer, as well as where we offer those services and how much those service will cost you. Call now and we could send someone out to you right away! If you need a locksmith you might need Locksmith Leeds! Locksmith Leeds is a friendly local locksmith service for the whole of the Leeds and surrounding areas. We’re operational 24/7 365 days of the year for all emergency and non emergency locksmith tasks right away or at a time to suit you. Locksmith Leeds is there for you whenever and if ever you need us. Locksmith Leeds performs all sorts of locksmith tasks such as lock replacements, entry gaining, and even new lock installations whether the jobs a big one or a small one whether you’re at home or work we can come out to you whenever and save you time, money and a lot of hassle too. When you come to locksmith Leeds you won’t any any VAT and you won’t pay a call out charge either. Locksmith Leeds also repairs and supplies all parts for most UPVC doors we’re quick and efficient so you don’t have to worry about anything but picking up the phone and speaking to one of our advisors. Locksmith Leeds are here to leave your locksmith troubles in the past and leave some left over cash in your wallet after we dash. Here at locksmith Leeds we’ve seen everybody out in the sun enjoying themselves, as it looks to be a great British heatwave. However we don’t particularly appreciate the heatwave when we’re working as it tends to make our jobs a lot harder than usual. Does that mean we’re going to wait for it to pass and close up in the mean time? No, as our service relys on us being around all of the time and building a level of trust with the people of Leeds and the surrounding ares, a trust that we’ll be there for them any time any weather. What about charging you more because of the heatwave then? No, we’ never charge our customers for something they had no control over, business as usual no matter the weather or place. Locksmith Leeds want to make getting a locksmith Leeds team out to you as easy and as stream lined as possible. Call today and speak to one of our trained office staff, who are trained to answer questions relating to all aspects of the business, so call today, we’ll never put you on hold or pass you around the office all day waiting to speak to the right person, because at locksmith Leeds there isn’t a wrong person to speak to! Call now and see what we can do for you today. Locksmith Leeds is always around when you need assistance and that means 24/7 because we care about our customers which means being reliable not just some of the time but all of the time. With no call out charge and no VAT to pay either you know you’re getting the most for your money when you choose locksmith Leeds for any locksmith task done right away or at a time to suit you. Here at locksmith Leeds we deal with all sorts of locks and keys and even door materials, which means we need to be prepared for anything in our day to day, especially in a lock out situation. 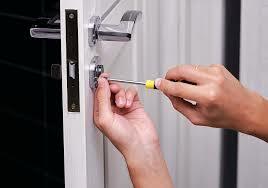 That’s why your local locksmith Leeds carries all the parts for most upvc doors. 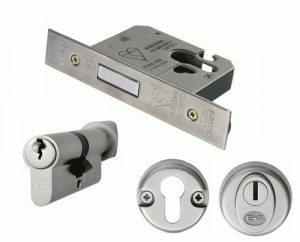 What’s more we carry anti-snap and anti-pick euro cylinders only, which means when you use locksmith Leeds you can rest easy safe in the knowledge that your lock on your upvc door is safe from the most common type of break in on upvc doors in the UK, and that is the break in method known as lock snapping. Even if you don’t choose to go with your local locksmith Leeds, we’d still recommending checking with the locksmith that you use, whether they are using anti snap locks when replacing the barrels on your Upvc door. Locksmith Leeds are your local Upvc door specialists. 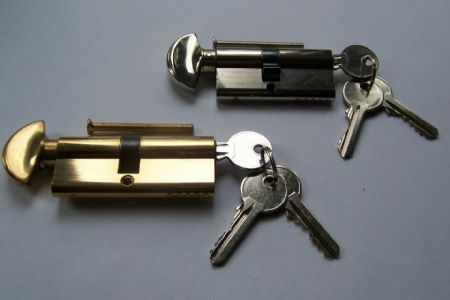 Locksmith Leeds carry all parts for most Upvc doors, including anti-snap cylinders and mechanisms. Locksmith Leeds won’t just come and rip your upvc door apart for no reason, if we can repair your door without using any parts to a point where we think it won’t cause the same problem, we will. 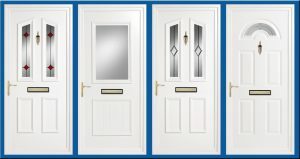 Call today and speak to our trained office staff about your upvc doors, and see what we can do for you. Locksmith Leeds have over 20 years experience and all the skills and tools to back it up, we’re not your average run of the mill locksmiths, we take care to deliver an easy to use streamlined and professional service at a competitive rate, with fast response times too. Locksmith Leeds are fast to get out to you in an emergency because we’re always out and about in the Lees and surrounding areas. Locksmith Leeds are also fast thanks to the professionalism of the people we have here, from our locksmiths who are local and know all the fastest ways to get to you. To our office staff who take your calls when you phone our lines, and who also with a few details can send someone out to you in absolutely no time at all. Locksmith Leeds are dedicated to providing a solid and reliable service for the people of Leeds to use at their convenience in an emergency lockout situation. Call today! Here at locksmith Leeds we deal with everything from lock outs to lock changes, locksmith Leeds can also perform new lock installations and a bunch of other really useful services. Services like our 24/7 365 day a year emergency call out service and our parallel 24/7 manned phone line that makes it as easy as anything to get a locksmith Leeds team out to you and to solve your lock problems. Locksmith Leeds use all the tools we’re given to make things like our website be as useful as possible to. What we mean is we’re always asking our office staff who answer the phones what type of calls they receive and what type of questions they’re asked. And if there’s an anomaly or a most popular question for that period of time then we ask our website staff to talk about the stuff that we’ve been talking to the customers on the phones about most. This is in the hopes that one day our website may help one of our customers out before they have to ring us! Not that we don’t want to speak to our customers on the phones, rather we just want to make our service as easy to use and quick as possible and if you could spot the answer to the question you need answering on our website before you call us up then we’re doing our jobs correctly and saving you time, and hopefully money. Call now and see if we can get someone out to you today. High security is also about pairing the right security system or the right lock with the right situation. And with the right person. If you do the pairing right, high security is made available at low cost. Get int ouch with our locksmith Leeds staff to understand better what we mean. Applicable security, and the right security feature in the right place provides as much security rating as the most expensive equipment installed in a faulty way. It’s important that security awareness is spread across the country. Especially as it is something which is accessible and easy to attain for people. Many of which who live under the assumption that home or business security is not something for them. What locksmith Leeds staff would like to make you see. Is that security is for everyone. Every member of our communities have the right to feel safe and secure. And sleep tight behind doors locked tightly at night. In this day and age the need for home alarms and heightened business security is crucial. But that doesn’t mean that it needs be an expensive feat. Information and quotes are available with locksmith Leeds merchants this instant. Get in touch with us to find out more right now. All locksmith Leeds work from us is guaranteed, and competitively priced. Security made affordable for families, businesses, individuals and organisations. Emergency access at all hours and much more. Full locksmith Leeds services can easily be reached with the number above. And by calling you’ll have all your questions and security concerns addressed when it suits you. The key to feeling secure at home or at work in today’s risky world is to have a skilled locksmith Leeds professional on your side. Check our coverage area. Speak to one now, we await your queries. Why not review us on Google. Here at locksmith Leeds we deal with locks of all shapes and sizes and brands, this means there’s room for misjudgment and minor miscalculations when we come out to a job because some of these locks are so unnoticeable that they can easily get mixed up with other locks. The most common time this happens in our experience is when someone has oval shaped euro cylinders and we come out to the job expecting normal shaped euro cylinders. This doesn’t mean we’ll just pack up on our tools and go it just means we have to fit you with an oval shaped euro cylinder, they’re a little bit more expensive but offer little or no additional safety to your home than a regular shaped euro cylinder and any differences between the two are purely for aesthetic purposes. No locksmith can charge you extra and put oval locksmiths in at that locksmiths leisure the euro cylinders will have to be replaced like for like. Locksmith Leeds will come to your house if and when you need us for any emergency or non emergency call outs, lock outs or lock replacements, because we’re open 24/7 and that means locksmith Leeds has trained advisors on the phones all the time, to let you know we’re serious about getting you back into your home. Locksmith Leeds also perform new lock installations on doors without locks in them already. Call today. 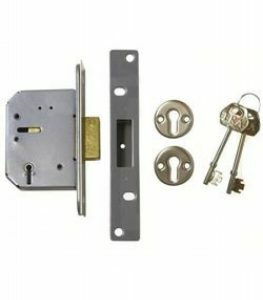 Mortise Locks – Usually opened with long L shaped keys, these locks are usually found on the front doors of houses and are tough, the British standard states that these locks cannot be broken into without a key. These locks are the toughest and most expensive. Can only be unlocked with a key from both sides. 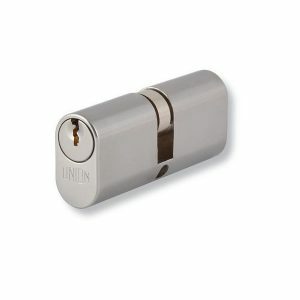 Euro Cylinders- Euro cylinders are usually found on Upvc doors and are opened with a smaller flat key. These locks are the cheapest and easiest to replace. Locksmith Leeds reminds you to check that you’re using anti snap and anti pick locks when replacing any of your euro cylinders. Sometimes opened with a thumb tab from the inside and a key from the outside but also can be both key inside and out. 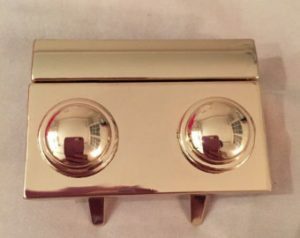 Night latches – Night latches are often found as second locks on front doors, or in flats and apartment buildings, this is to ensure that anyone can leave the building should they need to in an emergency. They are opened with a thumb tab from the inside and a key from the outside. Sometimes we don’t need to break these locks to gain access, depending on the gap size in between the door we could be able to use a technique called carding to gain entry through one of these locks. All of our locks meet the relevant British standards, which means your insurance cover is still valid even after we’ve changed your locks. If you have any questions you wish to ask us about the type of locks we use then feel free to call our office staff who are trained so they’ll know anything you ask them about this work. Locksmith Leeds deal with loads of different types of job every day and that means we have to be prepared for all sorts of locks doors and other stuff too. From our emergency locksmith service to our Upvc door work with cylinders and mechanisms. Locksmith Leeds really needs to be prepared for it all on a daily basis. One of our lesser requested but much harder services we provide is our new lock installations. These differ from normal lock changes because where as with a replacement all it’s about is taking the old lock out and sliding the new lock in it’s place, a new lock installation differs because the locksmith has to make space in the door for the lock to go in. Firstly the locksmith must place the lock in the center of the door and drill and carve the space out for the lock body to be placed in the door. Once the lock body is in place it must be tested and then work can begin on the door frame to house the striking box. The lock body is the part of the lock that has the key hole, the lock mechanism and the deadbolt when the lock is unlocked. The striking box is where the deadbolt goes once the key is turned and the lock locked. Call locksmith Leeds today! Here at locksmith Leeds we’re ready and waiting for your call if and when you need us. Locksmith Leeds is dedicate to providing a swift and easy to use service that let’s the people of Leeds and the surrounding areas to call out a locksmith for any locksmith service they may require with minimal fuss and the quickest response times, even if you’re not in an emergency there’s no need to book in just call us up and we may be able to help you with your problem today. Locksmith Leeds have over 20 years experience and all the tools and skills to make sure you’re never in need of locksmith services for long, that’s because when yo call us we’ll get to you fast and on time to get you back up and running with your day. Locksmith Leeds cover all Leeds and surrounding areas so you never have to worry about being to far out for us to come to you because locksmith Leeds likes to be inclusive of as many people as we possibly can. Locksmith Leeds are ready to send someone out the minute you ask for one, whether emergency or non emergency locksmith Leeds are here for you if and when you need us. Locksmith Leeds focuses on being quick and reliable, but most importantly professional, and professional is what you get from the minute you ring us and speak to one of our trained office advisors who will get to the point whilst never rushing you or trying to sell you any products or services, locksmith Leeds advisors will point you to the quickest and most cost effective solution we can find you, while not causing you anymore stress in what could already be a tense situation. Locksmith Leeds are her for you today so give us a call now and see what we can do for you. Here at locksmith Leeds we deal with all sorts of different types of locks, keys, doors, and different situations to do with those locks, keys, and doors. Locksmith Leeds deals with the most common types of lock with speed and efficiency but what about the less common locks? Same applies to uncommon locks, take the mechanical code lock for instance. The mechanical code lock works by having a series of buttons labelled with numbers and a few letters and a cancel button, once you press a button on a mechanical code lock it will stay pressed in until you press the cancel button or until the right code is entered and you use the handle. If you use too many or too few numbers and letters the door won’t open and if you get one of the numbers or letters wrong then you’d have to press the cancel button and start again. When installing a mechanical code lock you can set up the code to any code you like, and some mechanical code locks you an get make the code sequential so you not only have to enter the right code to use the handle but you have to use the right code in the right order to gain access. Mechanical code locks are good for when you’re trying to keep costs down in an office with lot’s of staff, whilst a good mechanical code lock won’t be cheap it will always be cheaper than supplying 20 staff members with a key and then having to replace the locks and supply those 20 people with a new key every time one get’s lost. Instead with a mechanical code lock you can just tell your staff the code for working hours and you could have saved yourself a fortune. Locksmith Leeds install, fit, repair and replace mechanical code locks and we can even supply them for you if that’s what you require, we don’t charge VAT and we don’t charge you a call out fee , so call us today and speak to one of our trained office advisors and see if we can’t fit your home or business with a mechanical code lock today! Moving property is an exciting point in anyone’s life, especially when it’s their first move. However, it’s important not get caught up in the excitement and neglect one of the most important aspects: securing your home! 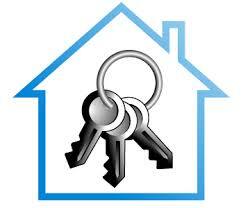 Unlike other locksmith Leeds, we take pride in providing our expert services at unbeatable rates for new homeowners. We understand that moving, while exciting, can cause a great deal of stress and it’s better to have that stress minimised wherever possible. That’s why your locksmith Leeds provides competitive prices for all the work you need to undergo when securing your new home. The first thing any sensible homeowner should do is ensure that they change the locks on their new home. This isn’t your locksmith Leeds trying to sound unnecessarily paranoid. Unfortunately, no database exists to tell you how many people have keys to that property and how many have ever been cut, not to mention when the locks were last changed! Therefore, it’s a good habit to get into whenever you move house. While it is possible for you to complete this task, this is not something your locksmith Leeds would recommend. After all, not only is it an additional stress to the moving process, unless you’re a trained professional or have experience, the risks related to an incorrect installation are simply not worth taking. Therefore, calling on the services of a professional locksmith Leeds to put your mind at ease is the best option. As part of our dedication to securing your home, our locksmith Leeds team will happily conduct a security survey of your house following a lock change. This will allow you to have a better understanding of the security of your property and what changes you could possibly make should you so wish. With a helpful locksmith Leeds team with you every step of the way, there’s nothing you can’t do. One of the most common questions your locksmith Leeds is asked, is for simple hints, tips and tricks to secure your home against the possibility of burglars and unwanted visitors. Thankfully, there are a range of measures that we believe every homeowner should carry out periodically, and especially when they move house. One of the most important things to do is conduct an exterior review of your property. This includes assessing entrance points to your property for weaknesses. The best way to do this is think like a burglar. You need to get yourself in the mindset of using anything you can to break into your own home. If such tools are available, then you should lock them away or get rid of them. Likewise, if you are unsure of the strength of the security of your windows and doors, you should take the time to make small investments which will bolster their strength. Check if any locks have been incorrectly fitted. If a euro cylinder lock is exposed, then it will be easy for a criminal to remove. Make sure it is fastened and secured with an escutcheon plate. You may have good, secure locks, but could you make any further, cost-effective improvements? Installing a security alarm will mean should anything happen while you are away, your neighbours will be alerted to irregular behaviour at your property. Also your locksmith Leeds can install bolts and bars to your doors to ensure that should anyone manage to get through your secure lock system, there is a strong piece of iron preventing them from getting any further. Home security really does not have to be expensive. If you are unsure about the quality of your inspection, your locksmith Leeds proudly carries out routine security inspections to allow you to assess any weaknesses in the security of your property and make the requisite changes if so desired. Locksmith Leeds are around 24/7 365 days a year dedicated to providing fast response emergency and non emergency locksmith services across the whole of the Leeds and surrounding areas for if and when you need us. Locksmith Leeds has over 20 years experience and all the tools to make sure any lock troubles that you might be having can become a thing of the past, today! Locksmith Leeds are dedicated to providing fast response locksmith services and the most reliable locksmith services in the whole of the Leeds and surrounding areas. What’s more is that locksmith Leeds services are all competitively priced and we can even do better than that as we don’t charge call out fees and we don’t charge VAT and that’s across our whole range of services. Locksmith Leeds are dedicate to providing a trusty and reliable service you can count on at any time or any day to sort your locksmith trouble out there and then. we can be with you at the drop of a hat either right away or at a time to suit you. Call now and speak to one of our trained office advisors today about how we can make your life easier, today! Here at locksmith Leeds we know how much of a pain it can be when you find yourself locked out and we know it can be even more of a pain to find someone who’s available quickly and can get you back into your home. Well you don’t have to worry about that anymore as if you’re in Leeds or the surrounding area and you’ve locked yourself out, or just have any problem with your locks then we’ve got your back and your lock worries are soon to be a thing of the past, with locksmith Leeds you know you’re going to get someone professional and more importantly you know you’re going to get someone fast. We train all of our staff to our insanely high level of standards and this is so that you, the customer knows that if we send someone out to you that you’re in good hands, and what’s more than that is we also CRB and fully vet our staff before they can join our team, so not only do you know you’re going to be looked after, you also know that the person being sent out to you is a trustworthy person. 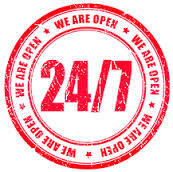 We’re open 24/7 so if you have any issues or questions, don’t hesitate to call our trained office staff. Locksmith Leeds won’t make you talk to automated messages or put you on hold for half a day waiting to speak to the right person, because here at locksmith Leeds, there isn’t a wrong person to speak to. call toady, and see what we can do for you! How can locksmith Leeds help small, local businesses? Commercial premises require a particularly skilled security engineer. Unlike houses which, as a broad generalisation, tend to either have UPVC doors or wooden doors, places where business is conducted vary greatly. Over the years, your locksmith Leeds has worked on a number of different commercial premises from warehouses, shops in the city and centre and high-rise office building. Even from this very small example, you can begin to see that a commercial locksmith Leeds has to have the skill set to deliver security solutions for a broad range of premises. We believe our services are most important when it comes to small local businesses. These are the lifeblood of the local economy with much money that is generated being reinvested into the local community and economy. We also understand that small businesses can often struggle when it comes to ensuring their security. After all, unlike large corporations which are likely to benefit from large insurance policies, small, local businesses are likely to be hit incredibly hard should the worst happen and someone break into their premises. 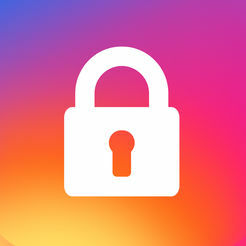 That’s why your local locksmith Leeds places such emphasis and pride in helping small businesses get their security in order before they conduct business. If you move into a new place of work, our expert locksmith Leeds team can arrange a site visit at a time convenient to you to conduct a free security survey. From there, our friendly technicians will make recommendations as to what security upgrades you should consider. Obviously these are just recommendations, but should you require extensive security, our locksmith Leeds team are all fully-qualified to assist with everything from basic lock changes, to alarm installations and installing security safes if you’re a customer-facing, trading business. Give us a call today to find out more about what your local locksmith Leeds can offer your local business. When considering your home security, the most important to do is first and foremost focus solely on the basics. It’s all well and good thinking about the added benefits you can invest, but it means nothing if your basic security isn’t up to scratch. The most common doors found on homes are wooden and UPVC. If you have the former, your professional locksmith Leeds recommends investing in at least a British Standard mortise lock, whilst if you have the latter we also recommend investing in an anti-bump, anti-snap lock. Of course, you may be unsure if your property already has this. If you are in this predicament, a quick call to your helpful locksmith Leeds should be able to clear this up with a quick diagnosis. However, simply by having the appropriate locking mechanisms and security doesn’t guarantee your property will be safe 100% of the time and it would be naïve to think that’s the case. As such, it’s worth considering what deterrents may be appropriate for your property to ensure no one even considers targeting your property in the first place. Of course, what may be appropriate is likely to depend on the nature of your home and your budget. One very helpful deterrent can be man’s best friend, your pup! 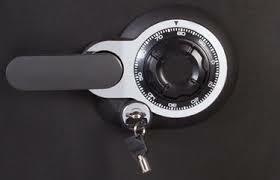 Of course, your locksmith Leeds would never recommend such an investment purely for security purposes. However, a well trained dog can be effective at deterring criminals if they get excited and bark when someone that doesn’t live at your property approaches. Not everyone has a dog, or would even like one, so what if there was something which replicated our canine friends? 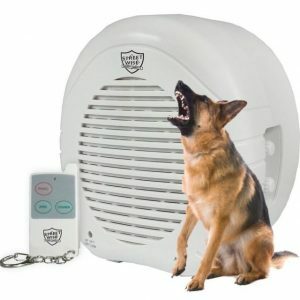 Although you miss out on the years of love and affection, a barking dog alarm which is motion activated can produce the same effect without the hefty vet bills to match! It’s not just sound which is important when considering deterrents, but also sound. Your locksmith Leeds always recommends ensuring your property is well lit. This isn’t just important when you’re at home, but also when you’re away for a period of time. Your property is less likely to be targeted if it is visible from the street and to your neighbours. Here at locksmith Leeds, we’re very serious about your home security and we think you should be too. We attend many jobs where the tenant or owners had wished they’d made improvements to their home security systems before they’d been burgled. Don’t be like them, make changes now before someone tries to take your possessions. of this as a path from the unknown straight to your home, it’s up to you whether you want to light that path up for trespassers or make it hell for any would be burglars. 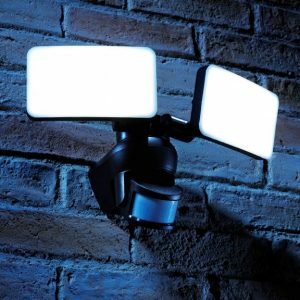 Whilst we think that home alone traps might be a bit too fr locksmith Leeds does recommend a external light with a motion sensor to warn any potential thief’s away! Secondly, we’d recommend checking the materials and locks on your doors, and then with this information doing some resaerch into the types of break ins most affiliated with your type of door and lock, for instance if you have a UPVC door the biggest threat to that with regards to people trying to break in would be lock snapping. Check if your UPVC door has anti snap locks and if it doesn’t fit it with some, the cylinders are very cheap and worthwhile having. Traditional locking methods and security have proved popular for centuries and rightly so. A British Standard mortise lock still remains one of the finest locks on the market in terms of both appearance and security, not to mention the range of doors and premises in which they can be fitted. However, technological developments have opened up the security market to a whole host of other ways of securing your home. A fully-qualified locksmith Leeds will always be able to assist you with high-tech electrical installations, including CCTV so that you may monitor the people who come and go, to and from your property. Here at locksmith Leeds, we’re proud that all our professional locksmiths are fully-qualified to work with electrical locks. This means that if you’re searching for a locksmith Leeds team to assist you with installing innovative security on your premises, then you needn’t look any further. 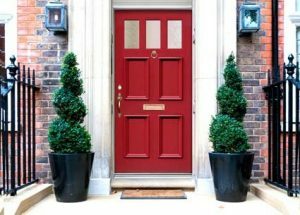 What may be available for your property largely depends on the type of property and the doors which act as entrance points. If you’re unsure, a ring to your local locksmith Leeds will allow you to determine the options available to you going forward. Small business owners have been particularly fond of investing in electrical locks. For example, electric strikes are increasingly popular for shared offices. You have probably seen similar locks on shared flats where, linked to a telecom, the tenant of the property can let you in by simply pressing a buzzer instead of having to turn a lock. These are similar to electromagnetic locks which can be programmed in a similar manner and have a incredible amount of force holding the door shut. If you’re concerned about your security these are excellent options to consider as not only are they robust, by removing the keyhole outside intruders literally can’t pick the lock. 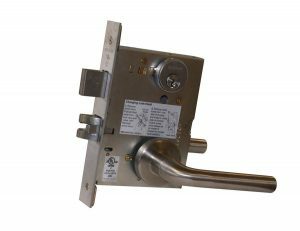 BS3621 – This covers mortise locks and cylinder rim locks that use keys on both sides of the lock. This standard is to say that this lock is safe from intruders unless they have the key. BS8631 – This covers all locks opened on the outside by a key but able to be opened on the inside without a key using a thumb tab or something similar. Used in flats and apartment buildings to ensure anyone can escape in an emergency. BS10621 – This is the standard for doors that can only be locked with a key from the outside, these can be opened from the inside without a key but only unless the key hasn’t been turned in order to remove this feature. 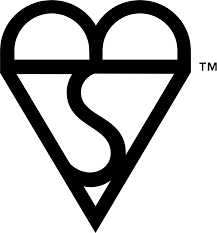 All of our locks are up to the British standards and this is important, as a lot of insurance companies will insist that your locks be British Standard otherwise they won’t cover you. To ask us anything about our British Standard locks or to find out how to tell if your locks are British standard, just give us a call, one of our advisors will help you with whatever you need! Here at locksmith Leeds we take home security very seriously, and so should you, it’s not just enough to have secure locks, we think it’s important to have a back up plan such as a burglar alarm just in case. According to a recent study done by Which? showed that 7% of people asked with burglar alarms asked in the survey had been targeted by a burglar or attempted burglar, and another further 1 in 10 of those 7% had been targeted more than once. So what type of burglar alarms are there? And which one would be the best for my home? Well there are two different types of burglar alarm, one called a stand alone unit and the other a monitored system. Stand alone units are ideal because their a lot cheaper than monitored systems, but are only useful if you have neighbors to inform the authorities. The second type of alarm, a monitored system is a little more expensive as you pay a contract to a security firm who constantly monitor your alarm and call the police as soon as the alarm is set off. This is more useful to people at higher risk of burglary, and people who don’t have neighbors in close proximity. Call us today and ask us which system we’d recommend to protect your home, our advisors are trained and know what they are talking about. So give us a call, and see what we can do for you today! With a rise in criminal activity across the UK, home insurance providers are looking to protect themselves more and are subsequently getting stricter on their policies. It is therefore important to know the security which may be present on your door. If you move homes and find that there is only a night latch lock (usually a Yale lock) present, it may be that your home insurance policy will not be valid with that alone. While those locks are cheap to manufacture and easier to fit, they are also easier to get through by criminals and are therefore not viewed fondly by insurers. To ensure your policy is valid, your locksmith Leeds is here to tell you that it’s likely your home will require a 5 lever British Standard mortise lock to be installed if one is not already there. Mortise locks can be either deadlocks or sash locks – so long as they a 5 lever British Standard, it very often does not matter. In fact, the main difference between the two can often be aesthetics. The deadlock simply has a keyhole and a bolt. The bolt locks into the doorframe when the key is turned. The sash lock has an extra latch and handles. 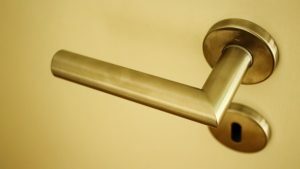 Therefore, the keyhole is usually within the plate of the handle and the handle must be turned to fully unlock the door. In layman terms, the 5 lever part of the lock corresponds to the number of levers on the inside of the mechanism which need to be turned by the key. The more levers, the more security afforded as it is harder to pick. If the lock needs to be British Standard, you then know that you are getting the highest quality lock available for most homes. These tend to have a longer bolt throw, anti-drill plates and a security curtain inside the lock which prevents the lock from being picked. Your local locksmith Leeds installs these mortise locks as standard. We have a key focus on affordability so you will never be priced out of effective home security. Here in Leeds most local residents understand the need for investing in appropriate security for their home. This is especially the case for students who move up North and find that often, the security situation may not be as relaxed as it can often by down South. This locksmith Leeds recommends thinking about your home security the same way a business owner thinks about protecting their business. Of course there are always going to be different budgets and needs for certain premises, but it’s worth thinking that your home is your livelihood to ensure the right attitude towards security. Business owners invest in a variety of different security products. As a commercial locksmith Leeds, we have invested countless hours in installing heavy duty locks and CCTV security systems to adequately protect offices and shops across the city. Whilst this type of security may be above and beyond the requirements of many homes in Leeds, there is one particular type of security investment this professional locksmith Leeds has started to recommended more and more to customers. If you go to any shop, pub, bar, restaurant etc. in the city centre, you will be sure that in the manager’s back office you would find a safe to keep important documents and the day’s takings. 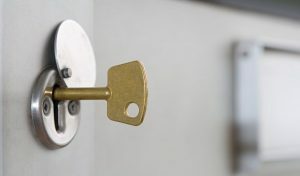 As an expert locksmith Leeds, our lock engineers have safely supplied, installed and maintained a number of safes for domestic properties over the years. We always make sure to have a range of safes with different specifications to meet any security needs and budgetary constraints you may be facing. All our safes, no matter what the specification, are fire resistant and burglar-proof meaning should the worst happen, you can be sure that anything stored inside will remain safe. It’s also convenient as if you choose to keep valuables and important documents, such as passports, kept inside, you will always know their location without having to scour the whole house thinking they’ve been lost. Call today for a discussion on your requirements and a free quote. Though a set of fundamental guidelines which include great service, the highest standard of quality, and the best care available out there for home security and business security out there. A locksmith Leicester worker will always treat you with the respect you deserve. As well as understand how difficult a lockout situation can be. There are a countless number of reasons that a lock issue can put a spanner in the worlds. Your time matters to a genuine locksmith Leicester group who knows that the sooner you are back in through those doors, the better. By phoning a fast locksmith Leicester lockout assistant you will have quick access and quick help. Arriving fast, and resolving your access issue with haste and precision to remove unwanted stress from your life is what every local and serious emergency locksmith Leicester provider should bring. Ring us now to ask us questions, to get quotes for the service, or to book in for any other of the many security installation services available. From lock installations, door lock mechanisms, additional mortise lock installations, alarm installations and more. Your home security will be made rock solid. A skilled locksmith Leicester technician will gladly assist you with securing your home and your business. Also on a tight budget. Experienced workers know what security products will provide you with the maximum security benefit in your situation. Call a trusted locksmith Leicester crew now for emergency lockout help or get in touch to book in for your locksmith Leicester need at a time that suits you best. What can a locksmith Leeds tell me about security upgrades? So you’ve finally decided on upgrading the security of your home. This may be brought on for a number of reasons. Sometimes it’s because you’ve just moved house and you are concerned about the possibility of previous owners still possessing keys. Maybe it’s because there’s been a recent spike in the rate of criminal activity in your area. Or perhaps you’re just being cautious and want what’s best for your family. Whatever the reason, you need to ensure you give the locksmith Leeds team a call so that we can help with all your security requirements. Unlike other locksmiths, the expert locksmiths Leeds is a full security service professional. This means that our work is not simply limited to lock installations and upgrades. As a fully qualified security expert Leeds, we can help you install high-tech security, such as CCTV and alarm systems, too. When people decide that they want to upgrade their security, their first concern is usually affordability. Your locksmith Leeds has always had this at the forefront of all work completed. After all, everyone should be able to adequately protect their home. Our highly-trained locksmiths work efficiently and effectively to ensure perfect installations and upgrades in fast times. This means that for any time saved, the cost benefits can be passed on to you. This practice also extends to product testing. By understanding the security requirements of your house and ensuring security installations to match your budget, this expert locksmith Leeds can pass on further cost benefits. However, just because this professional lock installer enjoys helping you save money, does not mean that there is a downgrade in the quality of any installation. 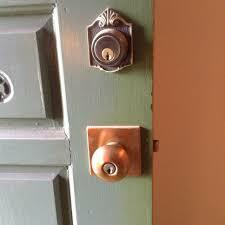 In fact, all locks fitted by our expert locksmith Leeds are British Standard. This means that not only can you be sure your property will be adequately protected, it also means that your home insurance policy is likely to be validated. Most insurance providers request British Standard as a matter of policy, therefore a friendly locksmith Leeds can help you sift through your documentation and ensure that any installation carried out by our expert locksmiths can validate your insurance policy. 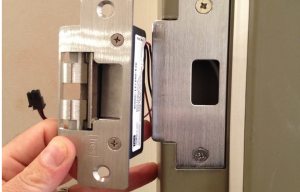 Can a locksmith Leeds installer assist with my mortise lock addition? To keep the highest standard of door security is the most important part of keeping good security. No matter what property or building you are in. Without the right locks and the right installation for your doors, your security is severely diminished and can be at considerable risk. 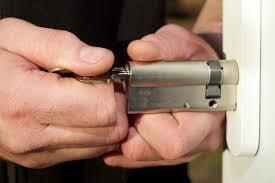 To avoid it, get in touch with a lock checking locksmith Leicester service now. Book by calling the number above. The skilled locksmith Leeds installers can help you with your mortise lock addition. The right installation is vital when it comes to high security locks. 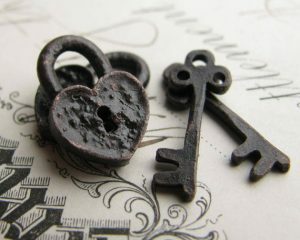 As wrongful alignment or the wrong security screws or parts may render the lock close to useless. It can also bring about a much shorter life span for the lock itself. A locksmith Leeds specialist is close by. Is fast, and is there for your every alarm, key and lock need 24 hours a day. There is no time to rest, there is only your priority to to keep in mind. And so a good local locksmith Leeds provider does. Being prioritised and put first, is what our skilled workers do gladly at any hour. Your top security is our top priority. Your convenience comes before ours at any time, so never hesitate to call local locksmith Leeds lockout experts should you find yourself in a difficult situation. By ringing our skilled crew with your needs, you’ll soon find the affordability and the competitiveness of our prices. With a belief that security is the right of each individual. A locksmith Leeds technician is at your service, cheaply at any hour and for any need. Both private lock and key services as well as business security requirement inquiries are welcome. What locks does a locksmith Leeds professional suggest for improved door security? You may have heard the term deadlock or mortise lock. Perhaps you’ve even seen the requirement five lever mortise lock on your insurance policy. This type of lock is, as the name suggests, the type which once locks, stay, dead in their strike plate housing. As opposed to a spring loaded latch lock, these locks are more secure, and much more difficult for a burglar to bypass. In fact, a locksmith Leeds installer knows the difficulty of getting through one without the key. Specialist equipment and training is required to deal with such a lock in a lockout situation for example. The lock that a locksmith Leeds professional suggests for instance improved door security. Something that you can get seen straight way, and done in a matter of hours. 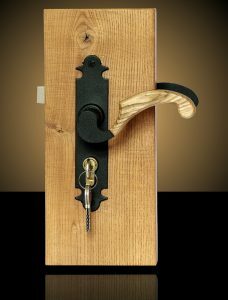 Is the addition of such a lock to your door. We suggest it, as does many of our fellow industry men and women. Security for doors starts with the locks, and with a high security mortise lock installed you are a good way along on the road to fully securing your home. 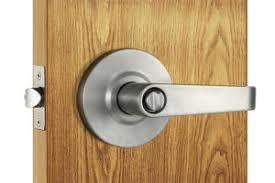 Contact locksmith Leeds engineers for fast installation now. 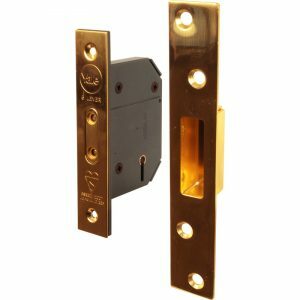 There are several varieties of approved locks to suit any door type in stock from council doors to commercial properties.. Fast, easy, and affordable with local lock specialists is the best way to move forward. Our number is found above and can be used at any time for help with locks. Including during lockout emergencies. Locksmith Leeds professionals are always here and ready to act if there is something you need, that simply cannot wait. Get locks updated and new high security locks installed with skilled locksmith Leeds engineers fast, use the number above and expect the highest quality of service and the most tender of care for your security with us. 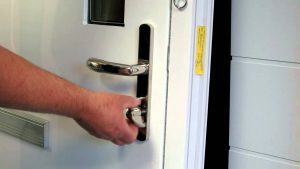 Can locksmith Leeds provide for my urgent security installation request? To be there for you with what you need, when it’s needed is part of our daily practice. We are prepared to handle any request, and if you have questions about what is available, speak to our skilled locksmith Leeds specialists over the phone now. Quotes are fast, bookings for installation work can be fitted with your timetable, and of course, working fast with precision is a given. Though the many years of service we have provided the community from a security perspective. The trusted locksmith Leeds crew have gotten their well earned reputation as highly respected security industry professionals. If you would like to do, as so many have before you, and get your home or business secured by these wonderful workers, all you need to do is get in touch. Provision of fast installation of the security features of your choice is something we do gladly. And if you call now you’ll have all the information you need straight away. We welcome your questions and a discussion with regards to your security at work or at home. Daily needs, locks, key duplication, gate installations, safe installation or other security alarm installations are provided by the fast locksmith Leeds precision installers. There is no reason to go without the security or the high grade locks that you need to keep secure, any longer than needed. Affordable high security mortise and deadlocks to secure your door, reinforced latches for your patio doors, security additions to your garage door and outdoor security are just a few mentions of the many things highly trained locksmith Leeds professionals can help you w ith. Custom security, urgent lockout help or high security letterboxes are also some examples of the more common requests that we get. Understand your security better today with a skilled locksmith Leeds specialist. Trust us and our competitive rates with your home or business security, and enjoy the benefit of many years of great and relaxed security. Intuitive, easy, and convenient to your needs. Can a locksmith Leeds repairmen do fast lock repairs and changes now? At any hour, at any place, and with regards to almost all locks. A skilled local locksmith Leeds engineer can have your new lock installed or your old one fixed straight away. Within a moment, the already packed and readily stocked vehicle will be on its way to you. Skilled locksmith Leeds professional at the wheel, and the back filled with tools and parts for every job on the spot. An urgent lockout situation, or an emergency lock change due to for example the lock jamming and locking you to your position by the property. As you cannot leave it open without supervision. Are situations that a caring locksmith Leeds professional is used to and has prepared well for. Quick fixes, that last, and that require no extra hassle at a later time is also something that we prioritise. If we can be there, with the tools, parts and skills needed to resolve the lockout issue or the lock change need on the spot. Why shouldn’t wel. Get in touch with skilled and friendly lock and key specialists at your local locksmith Leeds service. There you’ll have everything from professionals who know the industry and the area. By going local you can also assure that you have fast lock repairs and changes without difficulty though a fast and simple phone call. There is a reason why some locksmith Leeds engineers keep their customers for many years to come. Try us and find out for yourself why our customers trust and love our work. And find out the convenience in which high security locks, alarms, monitoring and other security aspects can be resolved both for your home and for your business. With the same skilled and friendly locksmith Leeds security specialists. 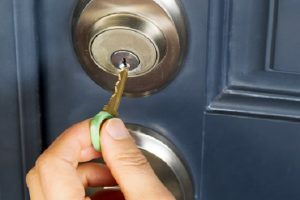 What should I do if I am locked out according to a locksmith Leeds lockout professional? To find yourself locked out is an occurrence most common with poor timing. Often lockout situations come as a shock. And the best thing to do is to be well prepared. We understand that it’s not easy to plan for losing your keys. Or the lock malfunctioning. And if you need help urgently. Feel free to dial the number above for a fast access service. The actions that the experienced technicians here suggest you take in advance. Get spare keys cut and leave them with a trusted neighbour. Do the same with a set of a trusted family member or friend. One who would come to you in a mad rush should you find yourself locked out. 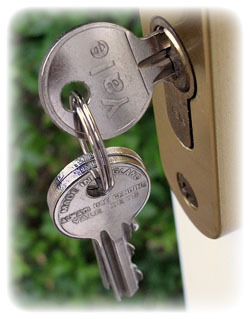 If you are locked out there are of course locksmith Leeds ways to enter your home without a key. And without calling a locksmith. However, before you go on breaking any windows or breaking any backdoors. Ensure that you remember just how costly this method would be. A window replacement is far more expensive than an emergency lockout service. Not to mention the hassle of having it fixed. We advise against hiding keys in your garden for use if you are locked out. Burglars know the most common hiding places. And no matter how certain you are that your hiding place is an original idea. It’s best to assume that it’s not. The first thing to do if you are locked out of your home. Is to stay calm, get in touch with a professional. And work take the other steps suggested for future reference. If your keys are lost, a lock change is recommended. It’s important to the security that you are the only key holder to your property. Our crew can perform quick lock changes right on the spot. 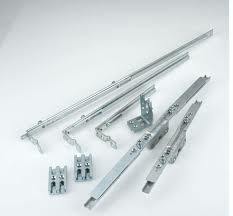 As we carry spares for all the most common types. Here at locksmith Leeds we think one of the best ways to elongate your time as a business is to have a healthy obsession with customer service. In personal life we try not to let what others think about us define us as people but in business it’s different, with recent advancements in technology it’s almost impossible to ignore what the general public think of your business. Some businesses don’t care about you or your needs and will have 3 pages about excellent customer service on their websites and then throw all of that out of the window as soon as you reach for your wallet or purse. We’ve even heard stories of businesses charging more depending on where a customer lives, which we feel is an absolutely appalling way to conduct business! We focus on our customer service and would say we put the same effort in as we do with our locksmith work, and it’s for this reason we believe that we’ve been able to provide the people of Leeds with Locksmiths services for the past 20 years, for this we are thankful for all of your continued support and business over this time and we hope this continues for many more years to come! We don’t just say this lightly we can prove it with our 24/7 365 day a year phone lines that we encourage our customers or anyone to ring to ask about any services that we offer or maybe even to ask about services not advertised. You’ll always be able to talk to a member of staff without having to negotiate any automated messages or being put on hold! Just a way we say thanks for the support over the years. Give us a call today and see what we can do for you! If a spare key for your home is something that you are missing it may be a good idea to think about getting one cut. And doing so with a locksmith Leeds who has been cutting the highest quality of keys with precision for many years will ensure that you get the quality you need. Or if the key is to be used on a daily basis, it’s also important to make sure that the cut is made by a locksmith Leeds who knows the importance of making precision cuts, ensuring that the key does not cause any damage or additional wear and tear to the lock, potentially causing you issues down the line. If there are things which you are a curious to when it comes to keys and key cutting, if you give us a ring today, you’ll speak to a locksmith Leeds key cutting who is an expert in the field, and all your questions will be answered. For your other day to day service requirements, such as lock repairs, lock installations, window locks, conservatory locks, home and business security solutions and much more, please get in touch with a security locksmith Leeds who can guarantee the expertise and quality which you need. So never settle for less, and give us a call today, the majority of our services can be booked and completed all within a day should you require fast service, and if there is an emergency it’s even faster. And the readily available specialits are always on the ball and ready to be sent out should there be an emergency. Leeds Locksmith are dedicated to their customers and pride themselves in helping them with any security issues they may be facing. Bumping anti pick anti snap locks is common practice among burglars and with multiple tutorials online on how to “legally” break into your own home. If it is a lock you can break into yourself it would be no problem for an experienced thief. Competitive rates around the clock. Leeds Locksmith can make sure this never happens to you by installing modern high quality locks and security measures to make your home as secure as possible. From UPVC repair to installing locks on all your windows, We always have our customers security in mind when taking on any job no matter the size. We do this by doing regular training and always staying on top of the latest security measures, offering competitive rates. 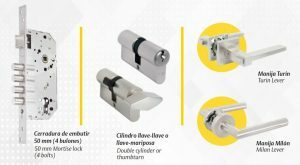 If you look at the market in the last few years there has been an overwhelming number of different cylinder locks standards to come out, and if you are looking at having a new lock installed, it can be a confusing ordeal. 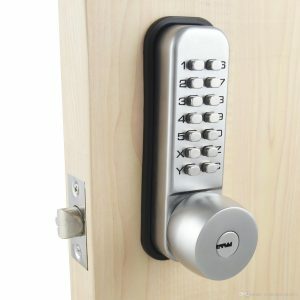 If you call upon your locksmith Leeds service to help you make the right choice, you will have an experienced security member who are always following the market closely, and keeping up with product news and developments is something that we naturally do to ensure that our customers alway have the best and most suiting locks. So if you have any insecurities or doubt about what to choose, get in touch with the specialists at a trusted and relied upon long running locksmith Leeds, one that always keeps your best interest at heart. We’ll happily help you clear up any confusion you may be faced with, and should you need any of the other wonderful day to day services or larger security feature installations don’t hesitate to call us now. We are here and available, all day, all night and all year to ensure you have the assistance you need it when you need it the most. Lives are busy in the 21’s century and convenience as well as price competitiveness is something that your locksmith Leeds understands well. Which is why you can also trust us to keep great deals and great service prices to ensure you get great value for money. Feel free to dial our number now. Within the area reach of Leeds, these guys are the one to choose for all your key, lock and security repairs and installation services. With a reputation built on great service and the merit of our find work, the locksmith Leeds are proud to say that we come with high recommendation from our customers. Our customers whom we care for, and do our utmost to serve. Not only though always ensuring that we are with the market and the vast jungle of products available, but we are also with the in house training to ensure that our skills match your needs. On top of that, as all remembers of the great bunch of professionals are CRB checked, we are eligible to assist organisations and businesses alike with their requirements also within circumstances which call for it. Call on this friendly and positive locksmith Leeds at any time to make an appointment, to ask your questions or if you are in direct need of assistance right away. No matter where the planet is on it’s daily turn, with 24 hour availability you will never be left out in the dark with the number for us in saved in your phone. The equipped and ready locksmith Leeds are here for you in the difficult times of having lost access. And as we have yet to be faced with a lockout scenario which we could not resolve in a timely manner, you can rest assured that when you place your call to us, help is on the way and your resolution is soon to be had. Locksmith Leeds know it’s a royal pain in the neck when you find yourself in a lock out situation, the only thing you want to do is get back into your home or business, which is why we think that you don’t want to be stuck outside all day. Locksmith Leeds also know that it can be an even bigger pain trying to find someone local to you, who can let you in, and then replace the lock if needed, that won’t make you wait all week, and someone who won’t charge you an arm and a leg in the process. Locksmith Leeds are those people, if you ever find yourself locked out in the Leeds area, don’t worry, locksmith Leeds is there for you. Locksmith Leeds are all about simplicity, because if it’s simple or you it makes it simple for us. Locksmith Leeds make it simple right from the first phone call, our trained advisors are sure to find the best solution to your problem, we’ll quote you for the work over the phone and if you’re happy with the quote we’ll send someone right away, it’s never been more simple to get a locksmith out to you in Leeds. Locksmith Leeds are affordable and reasonably priced, we don’t charge you a call out fee, just for the work. If you or anyone you know in Leeds ever needs a locksmith you know who to call if you want someone fast! Call today and we can even book you in for a later date if you’re not in an emergency. Locksmith Leeds, we’ve got you covered! Why not join the wide number of people who have upgraded and made their home a more safe and secure place to be for them and their families by having a home security system installed. If you get in touch with your trusted and trained locksmith Leeds service today, you will be able to find out how you can ensure that your Christmas time is kept a happy one. During the Christmas season of the year, the rates of home intrusion are on the rise, this is something that your locksmith Leeds can help you keep safe from. You can even sleep better knowing that the police will hear the alarm and catch the intruders upon hearing the sound. A home alarm system today is something which is quick to install, and provides your home with the highest level of security, especially in your absence. Your favourite locksmith Leeds crew have your best interest at heart, and have the best intention with warning you to this heightened risk. If you get in touch, you will also be able to ensure that up to date locks are in place on your entrances and exits, as well as ensuring that all your individual high risk areas are covered. A security inspection with your locksmith Leeds service can be performed at a time which is good for you, is quick, and at the end of it all you will be more informed to your own security situation at home or at work. If there is something which is unclear, if you have worries or questions with regards to your security, get in touch with your locksmith Leeds security expert today, here there is a range of affordable and ready to install locks and alarms in stock. And with us, who are flexible, arrangement for installation can be done as soon as tomorrow! So get in in touch today! The reliable and friendly team here would like to let you know just how dedicated we are to you and your convenience, security and of service. 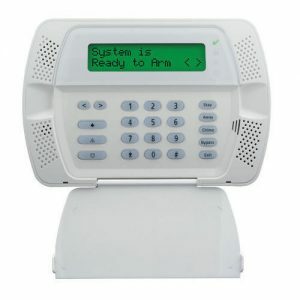 Communication plays a great role in creating and building a home security solution for your home or for your workplace. Together with you this locksmith Leeds can help you with everything from finding a better understanding of your own security situation, all the way to supplying and having what is agreed upon installed. You can trust this locksmith Leeds to always stand ready for you, no matter what you are in need of, business security for your office, shop, workshop or other placements, home security improvements and upgrades. And of course regular maintenance and checks can also be arranged for. Competitive prices and service which is rivaled by no other. Come to this caring and friendly team with your questions, requirements and service needs. Reliable and available, ready and stocked, all that is missing is the job that needs doing. Don’t hesitate to call today, the lovely locksmith Leeds service are clear, fair and always happy to help. Your trained locksmith Leeds service can amongs an array of other flexible services offer repairs, replacements, installations, advice, security checks and much more, to find out how this great crew can help you with the vast knowledge and experience they hold in the domain. Lastly, remember to put our number somewhere safe and reachable, this saves you from panic should a horrid emergency lockout scenario occur. Just call and we’ll be there in a flash. The stressful situation of finding yourself locked out of your office, or even worse, your home is something that everyone wants to avoid. At locksmith Leeds we understand that it’s something which can cause many worries, and negative projections of the future. So we provide an emergency service for those situations, where it simply can’t wait. Keep the number for locksmith Leeds close by, and we’ll come to your aid as quickly as possible. From when you call us, until one of our highly skilled and trained engineers is on site with you, is as quick as you can blink. At locksmith Leeds, we are able to reach most areas which we cover within an hour of your call, and if you are a bit closer by, often we will be there in 20 minutes. So should you ever find that you are locked out, and you need us, give us a call, at locksmith Leeds our record response time emergency lock out service is available and ready when you need it, meaning any time of day or night, every day of the year. So give us a call at locksmith Leeds should you ever need us, and we will be happy to come and help you out! Even if we are always eager to help anyone who may need it, we at locksmith Leeds do urge you to make sure you have a couple of spare keys, maybe leave one with a friend or family, and maybe leave one with a neighbor whom you trust. 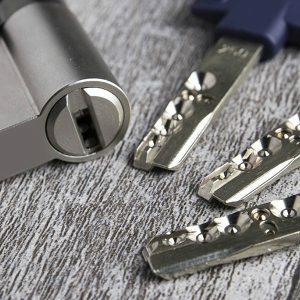 If you need to get some quality spare keys cut, in strong metal as so to minimize the risk of the key snapping in the lock, come by the locksmiths Leeds branch, we can cut all regular key types straight away when you are there. It’s easy to become a victim of circumstance, and in our industry we see it most commonly in the form someone finding themselves without access to their home or business property. At locksmith Leeds we understand that this type of setting can be stressful, and the need for a quick solution is important. With this in mind we here at locksmith Leeds provide a service for emergencies, which is available 24 hours a day, all days in the year. There is no time when we will not be able to come to your aid if you need it. So make sure you have the number for locksmith Leeds available to you, in case of emergency. We provide a swift service, guaranteed to be on site and ready in record times. On top of that our engineers come out fully equipped with the best tools in the industry, in order to be able to solve any situation. If you need help cutting a spare key, to make the risk minimal for this type of scenario come to our branch, and one of our educated and experienced team will be able to help you. 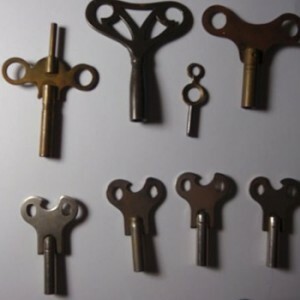 Since at locksmith Leeds we have all the common types of keys in stock, we can usually do this within minutes of your arrival. However if you do have a custom lock, or specific requirements, give us a bell first, and we’ll be able to order what you need, and let you know when it’ll be in store. At locksmith Leeds we respect your time, and strive to cause no inconvenience to our customers. When you need local Locksmith Leeds then you want to know that you are going to receive the most prompt and efficient service. That is why N.B. 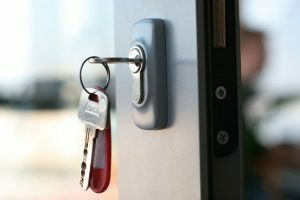 Locksmith Leeds guarantees a first class service that is not only first class when it comes to expertise and knowledge. You can be sure you will receive the most prompt and efficient service available from any Locksmith Leeds. Real pride is taken when it comes to every aspect of Locksmith in Leeds security service. From the initial call when you will be given an estimated time of arrival you will be getting a friendly and efficient service. Any unforeseen delays (which are usually rare) will be relayed to you so you know exactly what is happening. Some Locksmith in Leeds might tell you an hour but not show up for a couple of hours with no update. Our Locksmith in Leeds policy is to ensure that you are given an honest time of arrival with updates if that time will differ – that’s what we would expect if there was a delay. We pride ourselves on providing the most efficient and prompt Locksmith Leeds service available. This means that we aim to please our clients at every stage of the process. From initial call, arrival work carried out, informing the customer at all times and after care if necessary. It’s this model that keeps Locksmith Leeds customers happy and us proud. Call 24 hours a day whatever your security issue. Locksmith Leeds holds expert knowledge and experience in anything to do with security and locks who offers a variety of services at a competitive price. The reason to why Locksmith Leeds can provide the highest quality of service, products and expertise is not only due to keeping up to date with the latest technology in the industry, but locksmith Leeds draws on years of experience within that industry, and above all with people and the situations they are faced with. 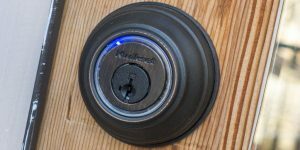 As intruders get more innovative in their approach and ways, locksmith Leeds are constantly looking at the latest innovation to keep one step ahead. As soon as new, better products for security hits the market all the staff at locksmith Leeds are trained and equipped. Locksmith Leeds think that every property, be it domestic or commercial, can benefit from the right alarm system. that being said, not everyone needs an alarm system with all the bells and whistles. So what system is best for your property? The Locksmith Leeds team can give you some great advice if you call us today, but before that read what we have to say about the different types of systems and the pros and cons to each of these. 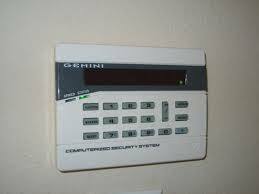 The most basic alarms simply set off sirens when they detect movement within your property. These are useful if you know your neighbours, as a neighbour is likely to note that the system has been triggered and call the police. However, you can also get systems that send notifications to your phone or email. This is a useful backup as it means you know immediately if there has been a problem and you can act accordingly. More complicated systems can even connect directly to a security service. If your alarm is tripped, the security service will call you checking it’s not you, then will send the police to your home to see what is going on. This provides an added sense of security for many homeowners, but is often quite expensive. People often ask whether to get wired or wireless systems, and this is largely up to you. However in general wired systems are slightly more dependable, but will be more expensive and harder to install. The benefits often outweigh the cons though. 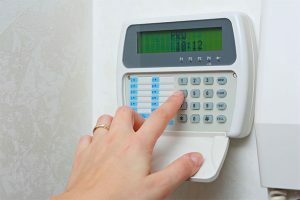 With all alarm systems, you get what you pay for, and so higher end ones will come with more features, but you need to consider whether these are necessary for your home. In any case, the locksmith Leeds team can help install any alarm system for you today! If you are a business owner in the Locksmith Leeds area, then our team of experts have some great security advice and services available to you today! We work round the clock so can be with you during normal business hours or after you’ve closed, so as not to disrupt your usual trading and to improve your security overnight if you see fit. Locksmith Leeds offers a wide range of commercial services, from security surveys to safe installations, and can help with any aspect of your business – even those you may not have thought about. Our premium business service is, as mentioned above, a comprehensive security survey. This involves one of our team doing a full walk-through of the inside and outside of your property, and lets them offer you bespoke advice to suit your business’ needs. We can highlight potential entry points for thieves, any stiff or dodgy locks you have, and the best places for you to store your merchandise or valuables overnight. This service is by-and-large our most popular for commercial residences, and for a reason! 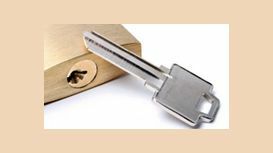 Locksmith Leeds also offer a range of other services, such as advice on the right safe (size, quality and more) for your business. We can then install the safe where you need it, and for more high-tech safes can help you through the set-up process for passwords, biometrics and the like. Our second most popular service is CCTV system installation, and again here we can give bespoke advice on the types of CCTV camera, what is best suited for your property and the best locations for cameras throughout the building or buildings. So for expert service at great prices, contact Locksmith Leeds today. It’s very probable that you’ve considered a variety of ways to improve the security of your home and the safety of the items within it, but what about those in your garden? Garden furniture is commonly left out, meaning it is much easier for a thief to steal. 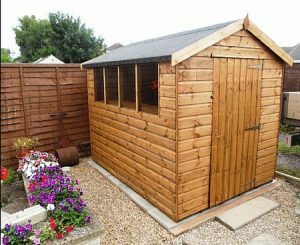 Locksmith Leeds suggest getting a garden shed for your smaller items, such as bench cushions, and using this to store anything you can. You’ll also need a sturdy lock for this shed, as otherwise you might as well just leave it all out in the open! Standard key locks or tumbler pin locks will both work on most sheds, but ensure you get the right size – the biggest possible that fits, the better. Putting items in your shed will also help prevent them from weathering. Bigger items, such as tables and chairs, should be stored inside as much as possible. However in some situations there’s simply not the space! Well, then you can do a number of things to ensure that your furniture is kept on your property. One simple thing is to engrave your postcode and house number into the furniture – if spotted by a thief, they will be less likely to steal these items as they are easy to track back to you. 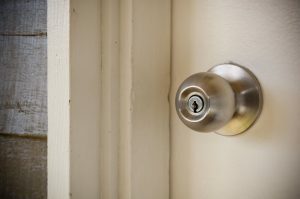 Locksmith Leeds also suggest bolting your furniture into place if possible – this will not only prevent it being taken, but will also prevent it being moved and climbed in order to get into your second floor windows, which are more likely to be unlocked. And finally, the most commonly stolen garden item is BBQs (and lawn ornaments!) – these should be kept out of sight as much as possible, as if they can’t be seen then most thieves will not go looking for them. Locksmith Leeds is proud to offer a premium service at an affordable price, and that service is our renowned Security Inspection. This is a 1-2 hour long walk-through of your property (size dependent) wherein our talented Leeds locksmith will point of all of your home or business’ security features and flaws. Of course, the key point here is the flaws! The aim of this task is to have you thinking like a burglar, and to get you in the right mindset in order to know the best plan of action to follow to better secure your property. Only a professional thief, or a professional security expert such as the Locksmith Leeds team, can achieve this for you. What might you find? Well, people don’t consider many aspects of home security, and live in blissful ignorance of the dangers of the world. You may not have thought about it, but could your patio table be moved closer to your walls? This would allow someone to climb on top of it, and get easy access to your second floor windows! That would absolutely be terrible, and is one of the most commonly overlooked things we find when visiting any home. You have to think craftily, and only then will you be able to be sure that you and your family are safe. And of course, that’s why we offer this Inspection! To take away some of the pressure from you, and to improve your safety without compromising on anything. If this sounds like a service you would love, then please get in contact with one of our team today, who will be able to come out to you at any time of day or night as you see fit!